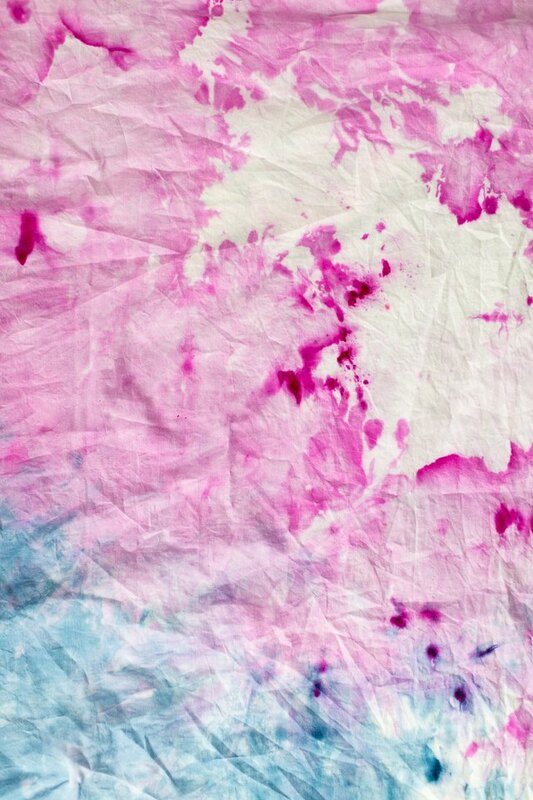 Ice tie dye requires two ingredients — ice and powder dye. 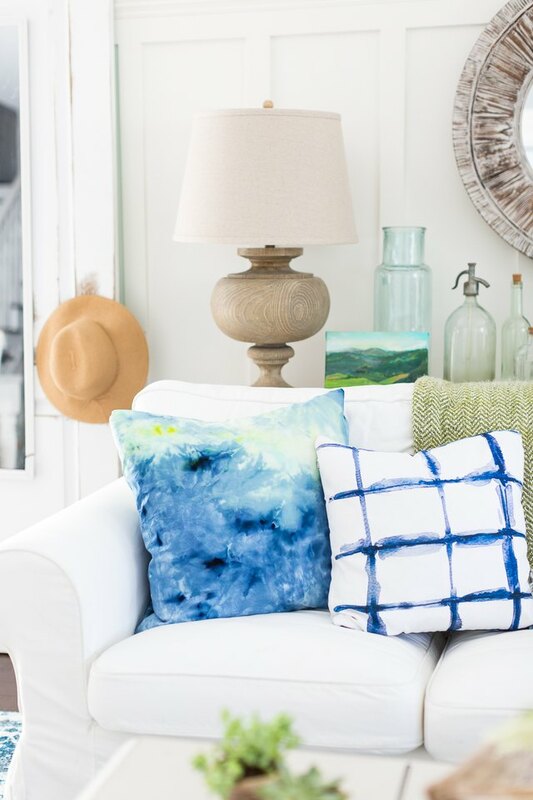 Simply place ice cubes on your fabric of choice, sprinkle the powder dye on top of the ice and then wait for the ice to melt. 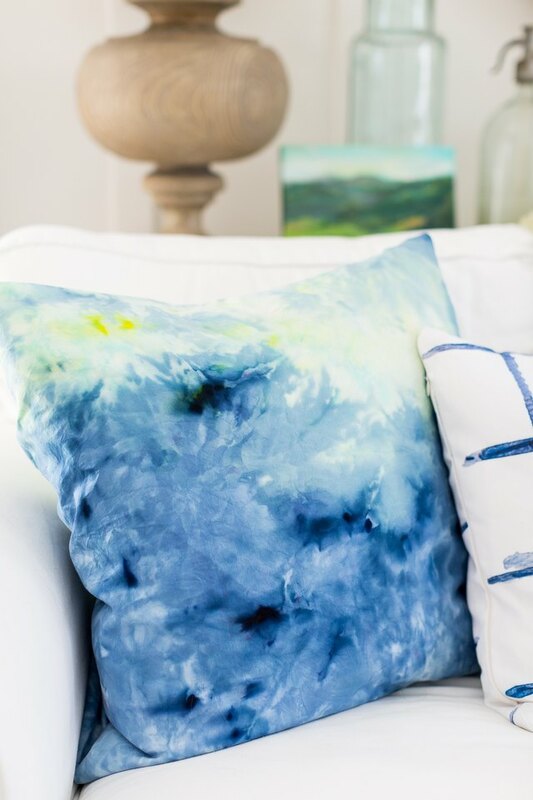 As the ice melts, the dye mixes in, creating beautiful watercolor patterns on your fabric. This watercolor-like dyeing technique is easy to accomplish and creates many different and interesting results. Place drying rack over a large foil pan or bin. 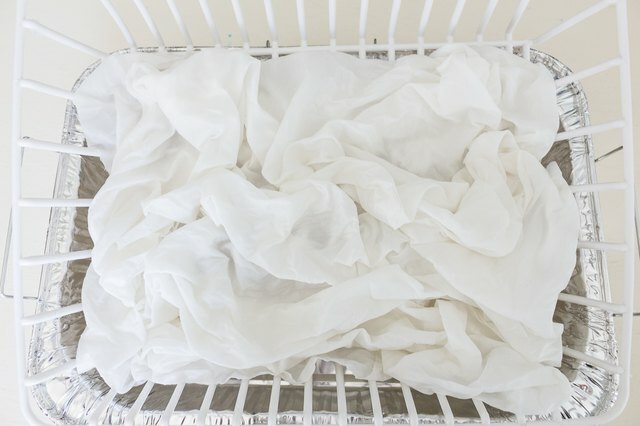 Soak the fabric in water and then place on the drying rack. In this case we used a disposable turkey tray to catch the melting ice water. Cover the fabric with a thick layer of ice. Sprinkle the powder dye over the ice. You can use one color or several if you wish. Please note that powder dye. It is recommended that you complete this craft in a well-ventilated area but away from drafts or wear a mask. Continue to sprinkle powder until the area you want pigmented is covered. 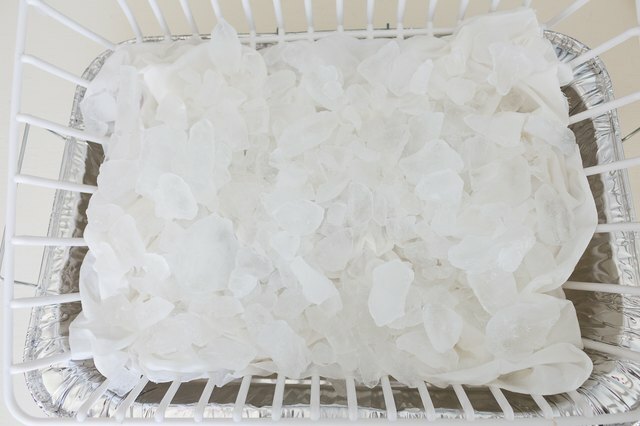 Place in a well-ventilated area and allow ice to completely melt. Please note that the longer you allow the dye to sit on the fabric the deeper the colors will be. This one was left for approximately 24 hours. Once the ice has melted, dispose of the melted ice water found in bin. Rinse out the dye and place the fabric in a washing machine to wash. Do not use fabric softener. You can air dry your fabric or use dryer. Iron well. 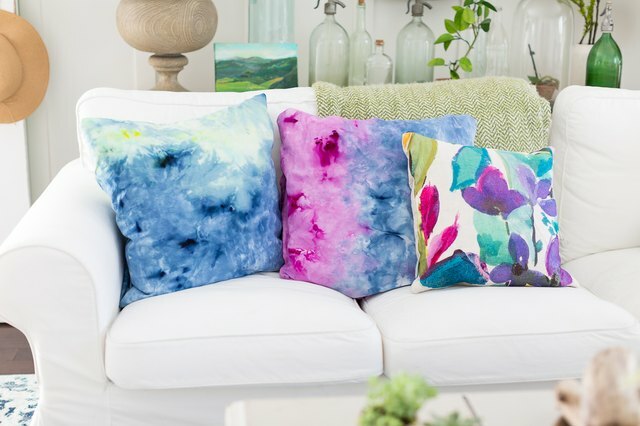 We used this tutorial to help us make our beautiful ice dye pillows.